This section contains information on our national events, such as the annual owner's weekend, and our Boat Show reception. For information about events in your region, please visit the regional pages, or contact your regional coordinator via the Committee page. The 14th AGM in 2018 will be held at the Park Inn by Radisson in York on the weekend of the 19th – 21st October, hosted by the Central Region. This modern hotel is situated on the banks of the River Ouse in the centre of York. All the major attractions within York are within walking distance, making this an ideal venue for those wishing to make the most of their time here. The weekend will follow the usual format with a drinks reception and meal on the Friday night for those making the most of the opportunities. During the day on Saturday you will be free to explore your selected sites before returning to the hotel and preparing for the gala dinner during the evening. The Sunday morning will be devoted to the AGM before Sunday lunch for those wishing to delay their return home. You are welcome to extend your stay and we will arrange accommodation for the Sunday night for those who wish to do so. The booking packs are about to be distributed but for anybody who can't open them they are attached HERE. For details of the various attractions go to https://www.visityork.org/. 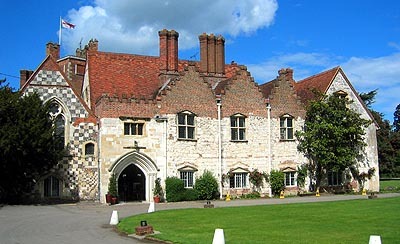 Bookings are now open for this year's AGM event which will take place in the historic surroundings of Bisham Abbey. The riverside setting gives us the opportunity to offer the option for members to arrive by boat and moorings are available on site at Bisham Abbey Sailing School. As usual throughout the weekend there will be plenty of opportunities to catch up with old friends as well as to make new ones, so don't be put off if you haven't been before or are new to the club. Full details of the programme and accommodation are available in the booking pack. Plans for this year's AGM weekend were progressed at the recent committee meeting and we are delighted to present another fabulous event at the prestigous Bisham Abbey venue near Marlow. We will use their Great hall function suite for our gala dinner on Saturday evening and have access to their world class fitness facilities during the course of the weekend. The Boat Show is now in full swing at Excel and we are looking forward to another sociable get-together on Thursday evening when the BOC will be hosted for our annual party on the Broom Boats stand. London Boat Show party is back! 10th Anniversary AGM weekend is a great success!